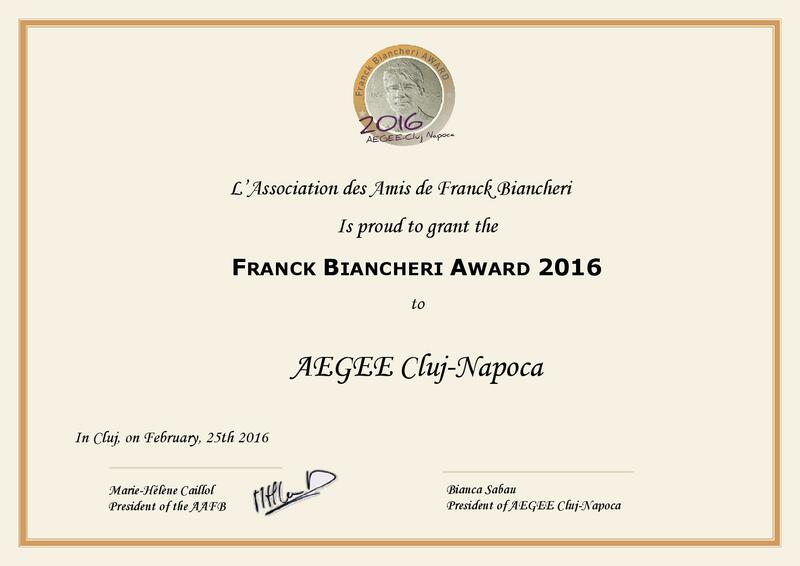 Home / Franck Biancheri Year / The Franck Biancheri Award 2016 has just been delivered to AEGEE Cluj-Napoca ! The Franck Biancheri Award 2016 has just been delivered to AEGEE Cluj-Napoca ! 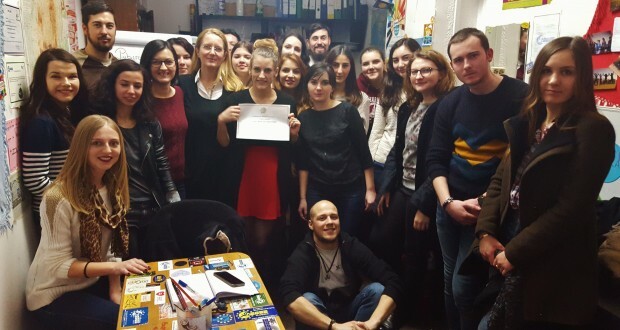 Thursday February 25, Geta Grama Moldovan, an active member of the AAFB (Association des Amis de Franck Biancheri) personally met the members of AEGEE Cluj-Napoca to officially give them the Franck Biancheri Award 2016. During this reunion, the enthusiastic and energetic team of AEGEE Cluj-Napoca unveiled the first elements of their event planned for May 2016: discussions around social, economic and political Europe issued, a tribute to Franck Biancheri’s work for the democratization of Europe, but also their 25th anniversary as a local, lead to a future event rich in content and debates! The event planning (venue research, finalization of topics and keynote speakers lists) will be soon followed by a more detailed programme. The AAFB will be happy to keep you posted on this!